A folding bike is bicycle that can be compacted by folding or separating some of its components. Older designs were primarily for leisure, touring, and commuting. Contemporary folding bikes include sleek road bikes and mountain bikes. They are designed to be as lightweight as possible and can be folded easily without using tools. Are folding bikes something you can use? Here are the best folding bikes and a brief run down of what folding bikes are. Early folding bikes were hard to ride, heavy, crude, slow to fold, and often collapsed in a heap. But the early ’90s changed all that when rail operators and airlines began to tighten restrictions on conventional bike transportation. The concept of a super-compact foldable bike caught on, partly because they could still travel for free, and they were lighter in design and materials. Contemporary designers have developed at least 150 folding bike designs and thanks to developments in smaller tires, technology and frame materials, the ride quality, weight and performance of the best folding bike is similar to that of their rigid cousins. Foldable bikes offer distinct advantages over conventional machines. It’s the freedom to travel anywhere with your folding bike that gives it a magic quality. A folding bike opens up entirely new ways of traveling. You’ll be carrying the bike by hand. The more you pay, the lighter the machine (typically). Generally speaking. folding bikes are more expensive than their non-folding counterparts. Folded size is important too. If you expect to travel by air, the smaller the better. Small wheels usually give lighter steering but a harder ride. If you can’t live with small wheels, folding bikes are available with standard wheels, but they won’t fold as small. Anything with a tire bigger than 20-inch will fold slowly, with more difficulty. Bikes with 16 or 18-inch wheels have a limited range, but the best are still capable of 50-100 mile rides. Avoid production or department store folding bikes. They tend to be heavy, with weird or clumbsy folding mechanisms and are just all-in-all a bad purchase. In no particular order, here are ten different models to look at and consider. Note that bicycle specifications, availability, and stated prices may vary without notice in different regions. Always check specifications with your local supplier. Use this one for city touring, around town for errands, commuting or appointments. Think of it as the Tesla of folding bikes, high-end and luxurious. For city commuters who use public transport. Looks at home folded up on a subway train or in an office. Performs on the street like any full size bike. This is your folding mountain bike option. Go anywhere, mud, dirt, and it climbs like crazy. Frameset only, but can be purchased fully built. Great for a cyclocross option. Rugged. It splits in half. This company has a long-standing reputation for quality and stability in compact folding bikes. 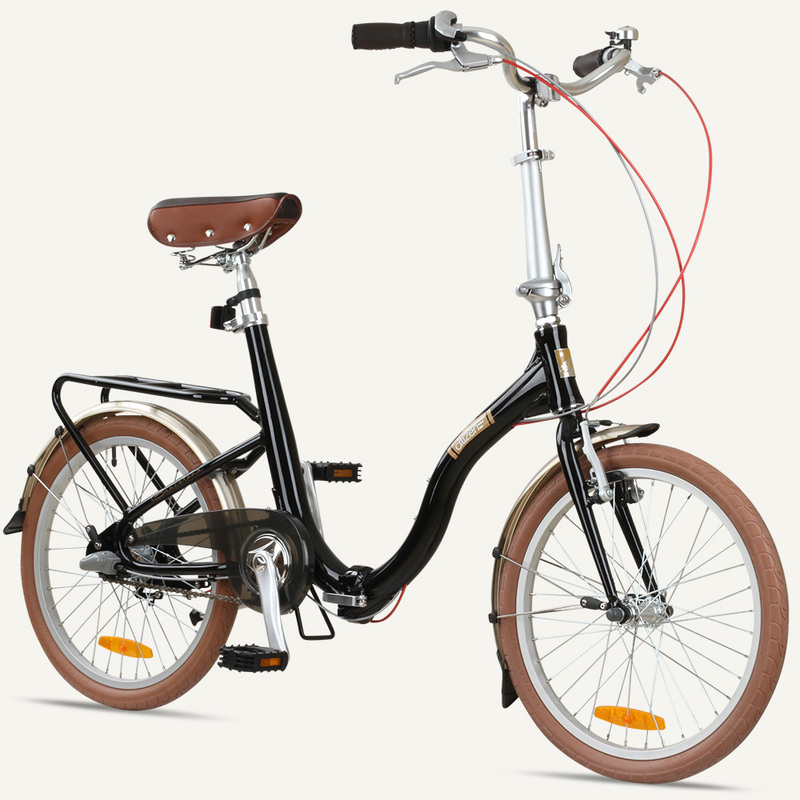 Fold size 22.2-by-21.5-by-10.6 inches — one of the most compact among comparable folding bikes. and stable ride for a folding bike. A budget price that gets high marks for value. Reported to be the fastest compact foldable bike on the market. Ggets high marks for its excellent ride quality and easy-to-use folding mechanism. reviewers say the bike is solidly built and has a comfortable ride. The quality of the ride defines the Tikit. Folded size of 11.7-by-29.3-25.7 inches. Ravello Bikes takes your existing bike, aluminum or steel, cuts it in half at strategic points and places flanges in place to disassemble and reassemble the bike. This is a great option if you already have a bike and want it smaller for travel. The flanges add some weight by functionality wise it is more or less the same.